We're living uncertain times. The more the need to invest in ourselves. Us as people and us as professionals. In the old times you got a degree for the rest of your life and you'de be living on that. Not now. Now we have to keep up constantly with change. We have to keep fit mentally and physically. We have to learn or improve different skills and capabilities. The boundaries between private life and profession become fuzzier and that's also a cause for rising anxiety. We have to keep improving some aspects of our personalities and behavior and learning new skills. Knowledge is very precious and no one will do it for you. It takes self-motivation and will power. Flexibility, adaptation, communication, empathy, assertiveness, resilience - these are the keywords. These capabilities are part of knowledge in the broad sense. How to improve or acquire them? Many people don't know what goes between a psychotherapist and his (her) client. In fact, it's a process of learning for both parts. The important thing is that the client is able to improve communication, empathy, awareness, self-perception. He's supposed to acquire skills that will be useful for the rest of his life. Private life and work being so entangled nowadays, the more important it is to know yourself, your limits and your strenghs and make use of them. More energy or more time? Work demands more and more from us. Most people respond to that by working longer hours. But we may have a better and more productive way. It's about energy. Schwartz and McCarthy in a paper for Harvard Business Review ("Manage your energy, not your time") argue that the capacity for work can be re-energized with greater and bettter output than by working more hours. Emotional energy: awareness of whar triggers negative emotions, expressing appreciation to others. 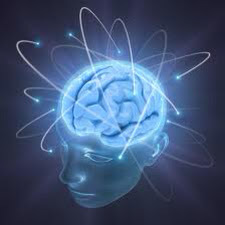 Mental energy: fully focusing from 90 to 120 min, establishing priorities for next day. Spiritual energy: sense of meaning and purpose, establishing a few rituals (gratification, living one's core values). Re-energizing seems to be hard work but feasible. Our quality of life certainly deserves we dedicate time to it.